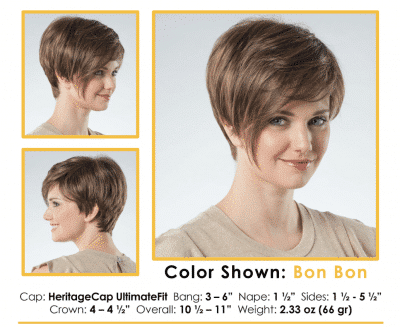 A textured Pixie style with elongated fringe and wispy bangs. Super-Sleek and ready for anything. Available in 39 colors. Features HeritageCap & UltimateFit cap construction for super comfort and our top-of-the-line EluraBlend Fiber.